Ross: What was the one right before bananas? Rachel: The beef? Yeah, that was weird to me, too. But then, y’know, I thought “well, there’s mincemeat pie,” I mean, that’s an English dessert, these people just put very strange things in their food, y’know? 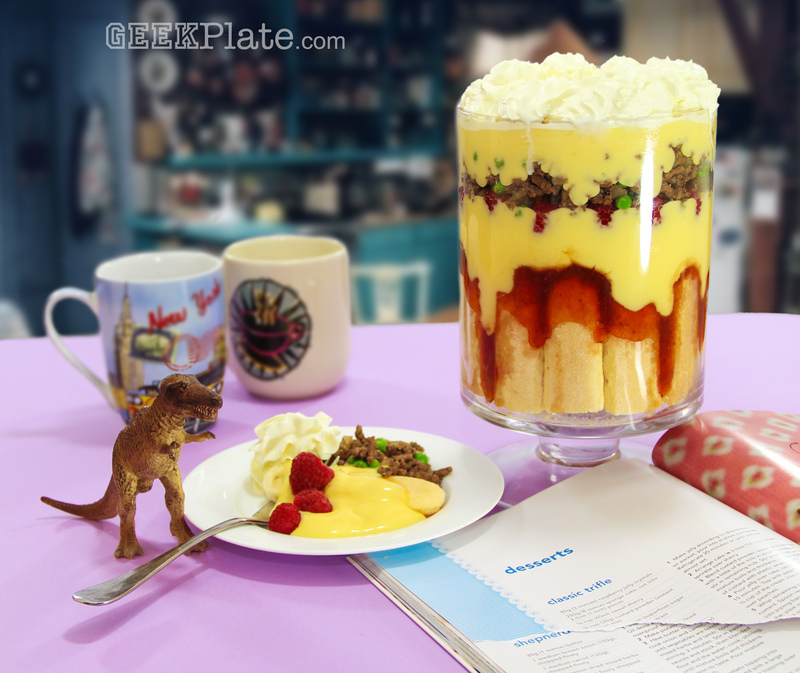 This entry was posted in GeekPlate Recreations, Television and tagged dessert, fiction, food, friends, rachel, recipe, sitcom, television, thanksgiving, trifle, tv. Bookmark the permalink.